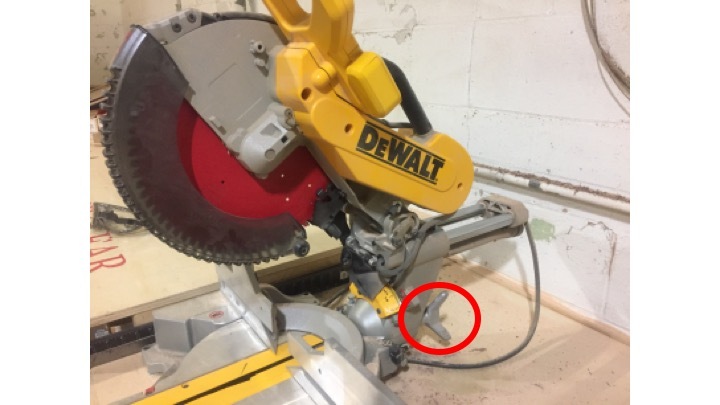 I was looking at the miter saw today and attempting to adjust the vertical orientation, as if planning a compound miter. I could not get it figured out. The three-pronged extension circled in the photo seemed like a logical place to loosen the saw to adjust the tilt, but I couldn’t get it to move with reasonable pressure. Was I just too timid, or is this not the place to make the adjustment? yes, that is the adjustment knob for adjusting the vertical angle. It was indeed abnormally tight. I got it loosened up and so it should be easier to manipulate now. I also adjusted the blade stops and the pointers for 0 deg so it should go back to 90 when its on the stops and relocked. I’m guessing that’s why someone had tightened the handle as far as they did. They got it on 90 degrees and didn’t want it to move. But the stops are adjusted now so there shouldn’t be a need to reef down on it again. I edited your post to put the youtube link on its own line. Then discourse will show a preview of it.